The Notoriously Morbid Vanishing Cabinet for the month of March is inspired by the A Song of Ice and Fire series, also known as the popular Game of Thrones series. As a huge GoT fan, I was very excited to receive this month's VC! 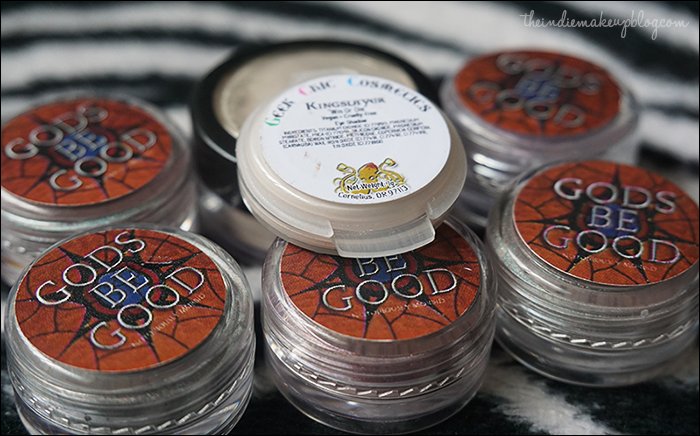 Although there are several other indie brands that have done GoT collections (Shiro and Geek Chic Cosmetics both have full GoT inspired collections), I'm always happy to add more to the lineup. This month's box features 5 eyeshadows, 1 mini highlighter, a Geek Chic Cosmetics sample clamshell, as well as a 30% coupon and a replacement Coffin Kisser for last month's subscription. Before jumping into my review, I just wanted to take a moment to address some housekeeping matters. First, you may notice the site has gotten a facelift! I've switched over to a more professional looking design. I've also added a full length disclaimer policy and categorized existing entries. All thoughts and opinions expressed on this site are completely my own. Please view my Disclaimer Policy for more information. From left to right: Stern and Strong, Fates Untold, Sword and Shield. 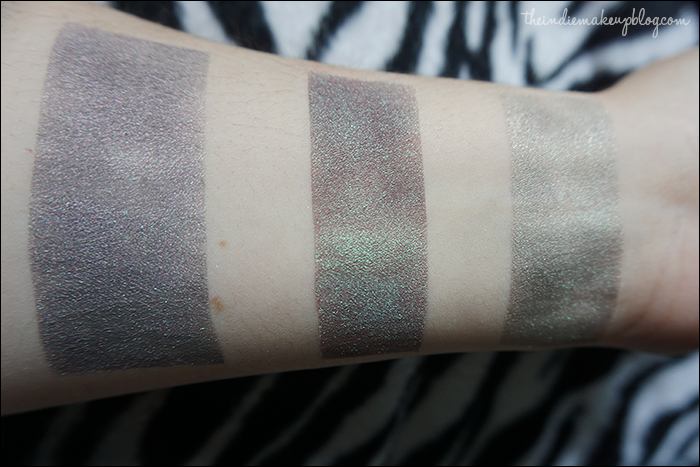 Sword and Shield is a light sage taupe with multicolored shimmer. All of the shades had good pigmentation over primer alone. 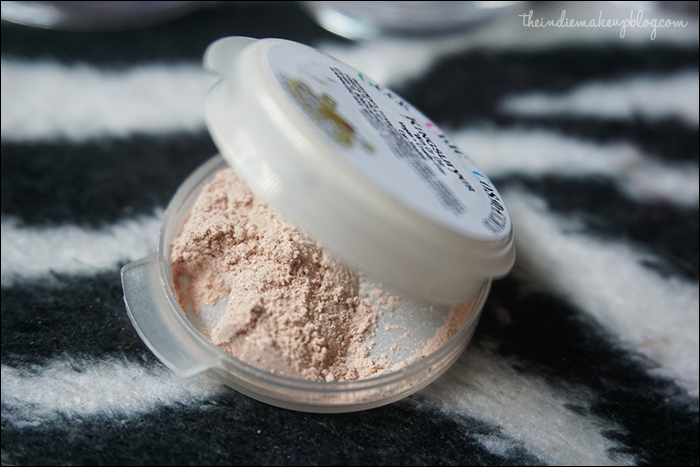 Over primer, the color is a bit lighter and works well a wash of color over the lid. 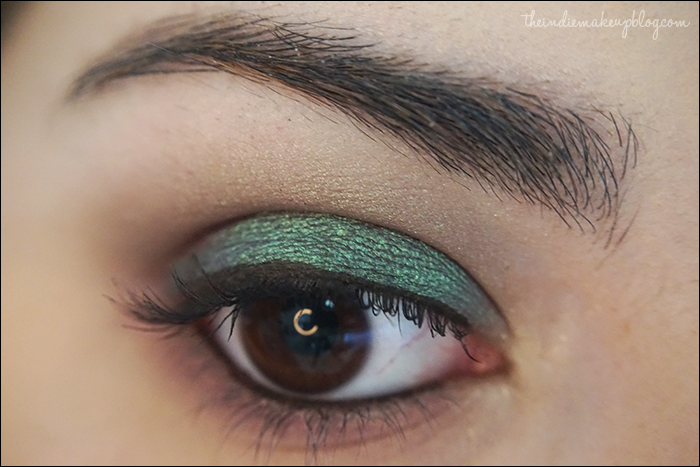 It also works great as a light transition shade for blending, which I did in the look below. 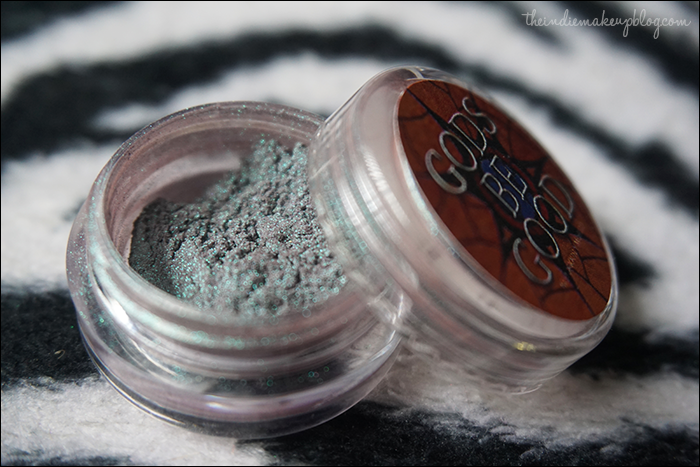 Fates Untold is a plum base with bright greenish teal duochrome. I LOVE THIS SHADE! 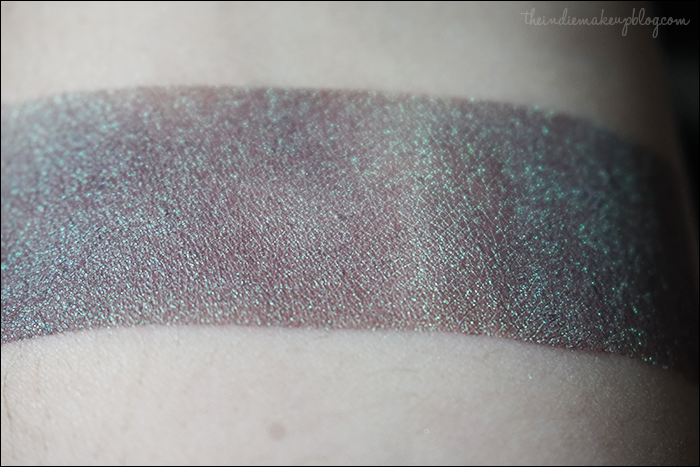 I wish the picture was more color accurate because the duochrome effect on this shade is so pretty. 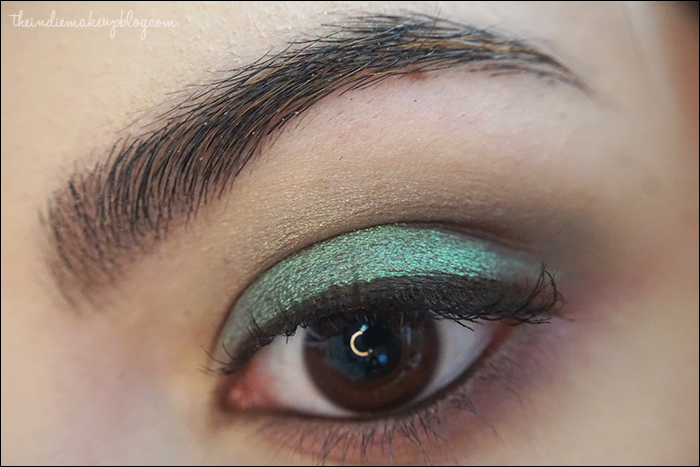 The duochrome is still quite strong over just primer, but using it over the a glitter base makes the teal duochrome take over. 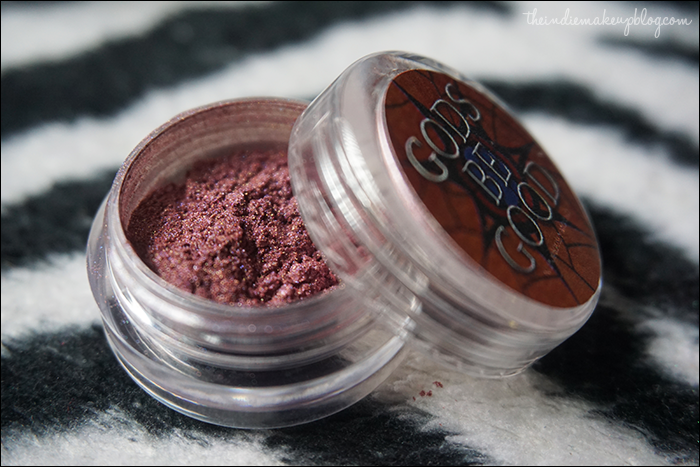 If you were to blend this shade, I suspect the plum base would be more prominent, similar to what happens with Shiro Mother of Dragons. This is definitely my favorite shade of all and I can't think of anything quite like it. 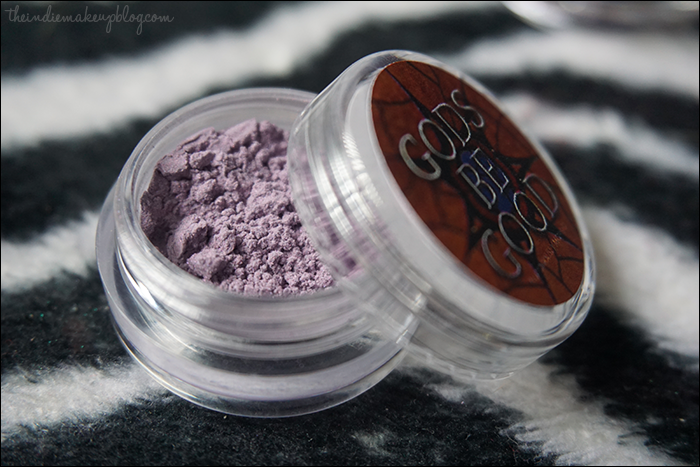 Stern and Strong is a mid-tone shimmery grey violet. It looks more purple in person. 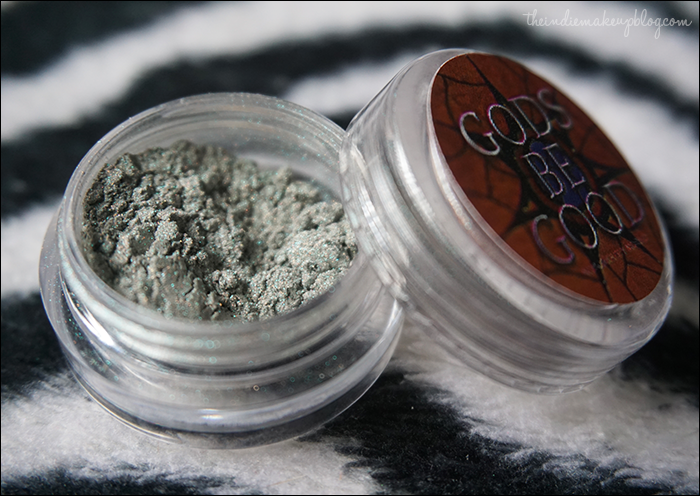 Great crease shade and works well with the other colors in the collection. 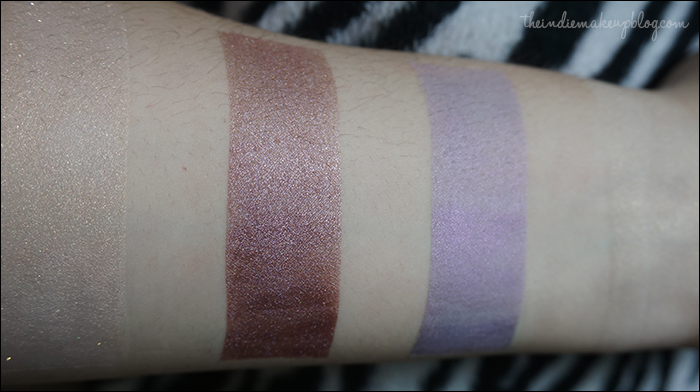 From left to right: Kingslayer, Fire Bright, Lovers Sign, Gift of Life. 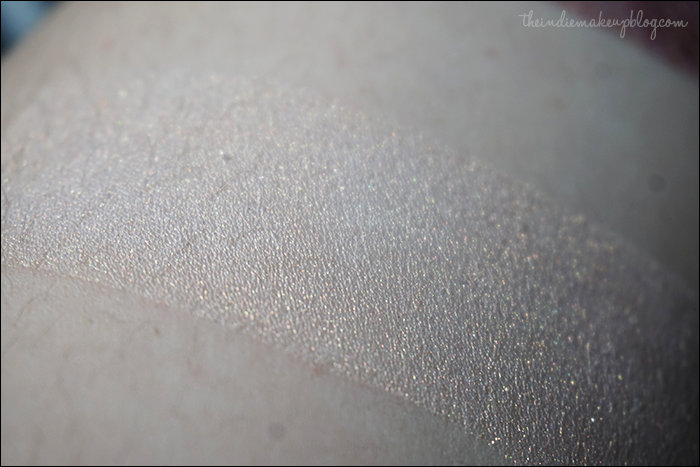 Gift of Life is a shimmery white gold highlighter. I swatched it over bare skin to give you a better idea of how it would look on the cheekbones. 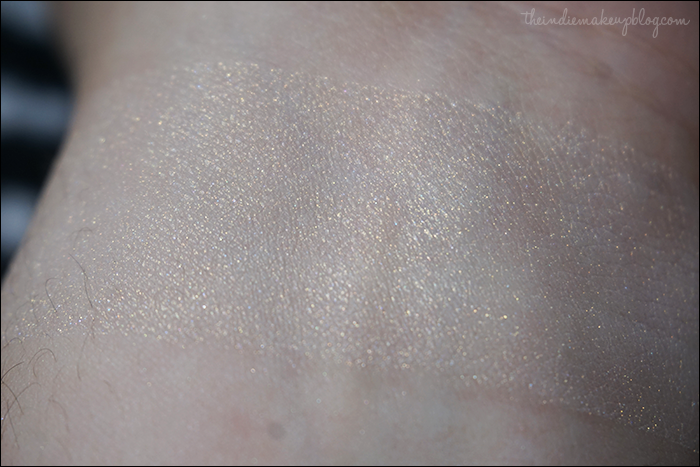 This one looks very similar to Nars Albatross Highlighter, which is also gorgeous. 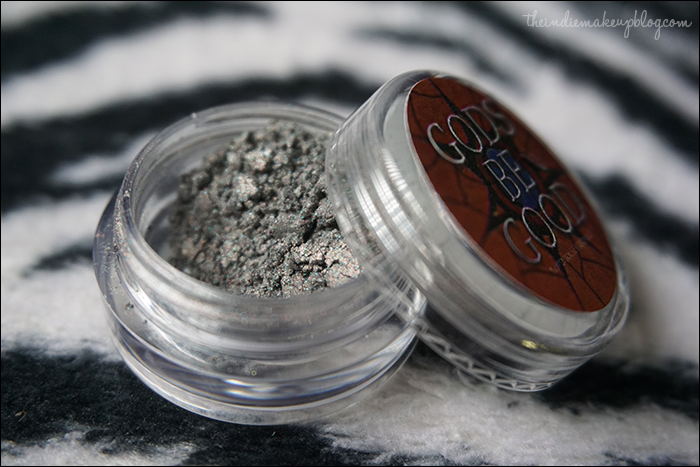 I hope Notoriously Morbid decides to make this shade permanent as it makes a great budget friendly dupe! 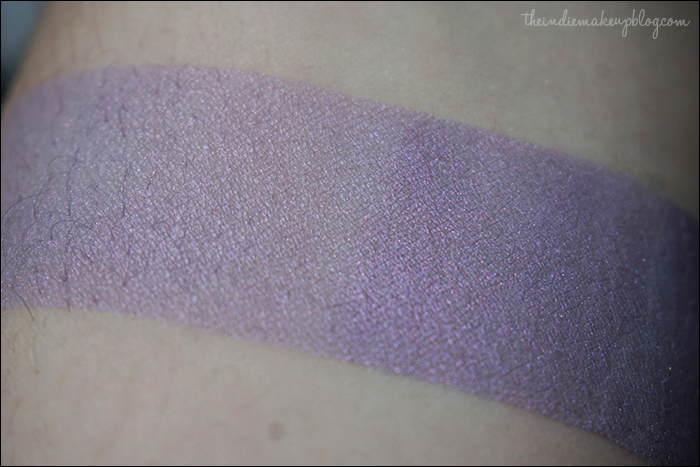 Lovers Sign is a soft lavender with pink iridescence. 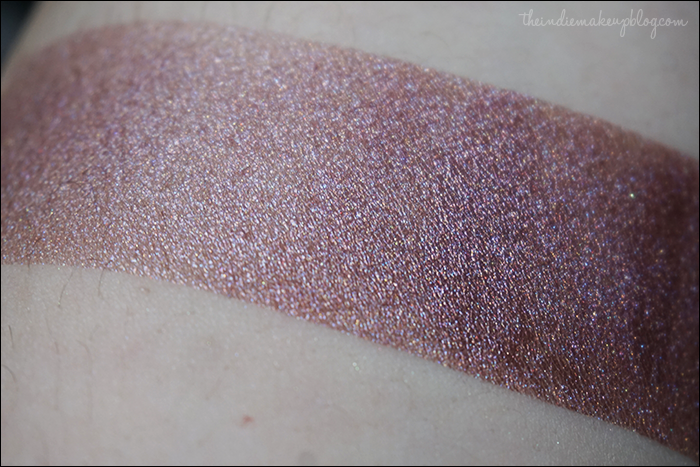 This one is less warm and has less pink shimmer than last month's sample preview. The formula is almost a demi matte so I'd probably recommend using this one over a primer alone. Fire Bright is a brownish red with multicolored shimmer. 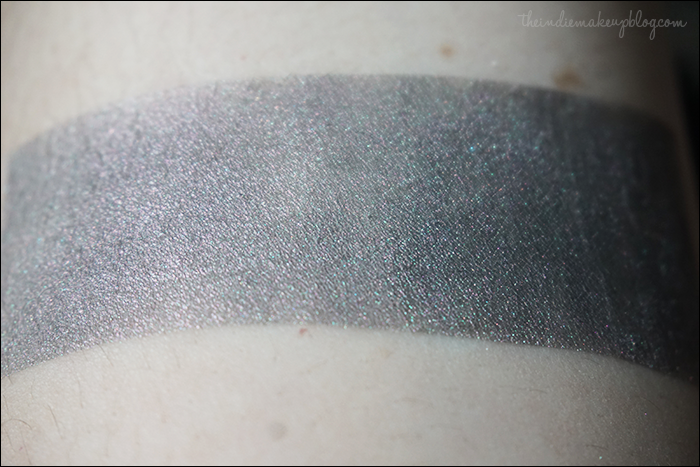 The shimmer is very prominent and looks great over primer alone and over a sticky base. I'm not normally drawn to reds but the shimmer in this one makes it special. Geek Chic Cosmetic Kingslayer is a pinky beige with gold and orange sparkles. Makes a great inner corner highlight. My only slight critique for this month's VC is that I wish there wasn't two highlight shades that are similar in tone. 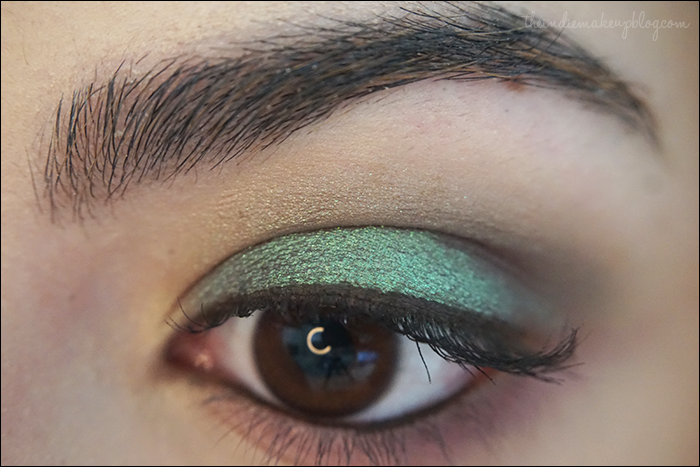 I didn't have time to swatch yesterday but couldn't wait to put these shades on my face so here's my EOTD I did! I used Sword and Shield as my transition shade, Stern and Strong in the crease, Fates Untold over Shadow Bind on the lid, Gift of Life in the inner corner, and Fire Bright on the lower lashline. Overall, I'm very happy with this month's Vanishing Cabinet! The owner, Carrie has decided to take a break with the VC for the month of April in order to prepare for new launches and the May VC, which I think is a wise thing to do so they have time to get everything ready. 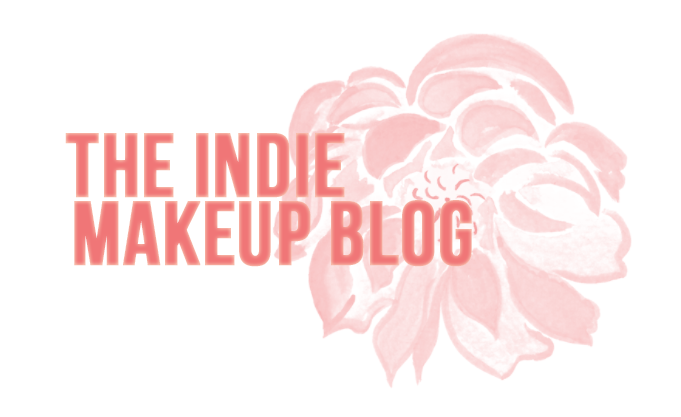 Every shade this month was smooth, pigmented, and featured the same great formula Notoriously Morbid is known for. My favorites are Fates Untold (duh), Sword and Shield, and Lovers Sign. These look gorgeous! Is Gift of Life a pretty intense highlight? 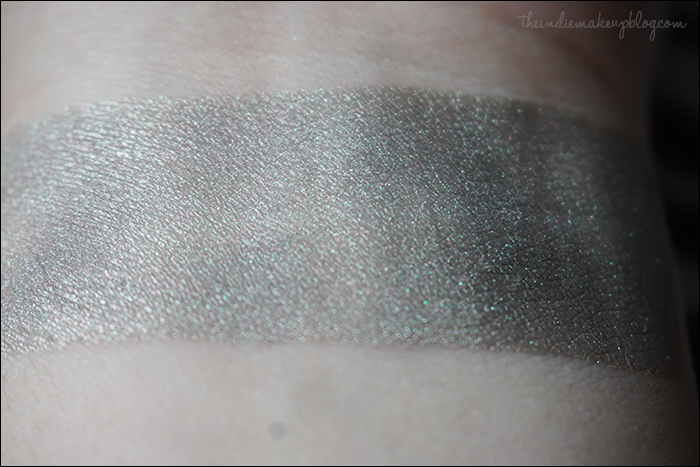 It looks like Albatross is really pigmented, which is exactly what I'm looking for. 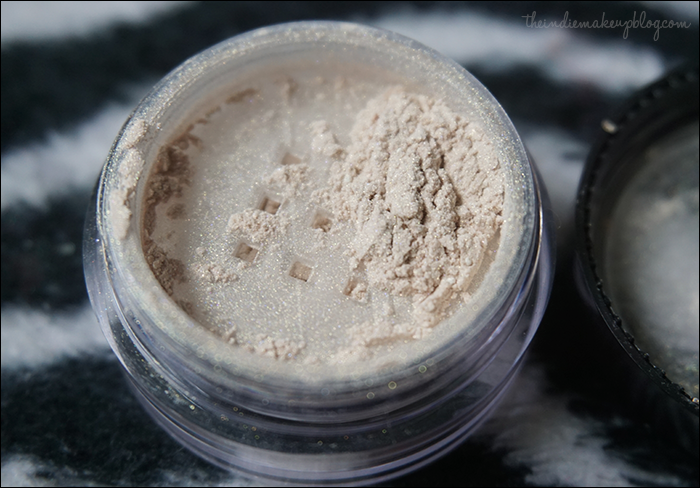 On the hunt for a green dupe of Mary-Lou Manizer, but I've been struggling to find a natural highlighter that packs a punch!